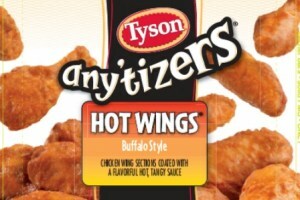 Last month, the U.S. Department of Agriculture’s Food Safety and Inspection Service reported that Tyson Foods will recall 52,486 pounds of chicken wing product. In a press release, the USDA explained that the chicken wing product might be contaminated due to an “off odor” scent. Some consumers of the product contacted Tyson complaining of experiencing mild illness as well. After such grievances, Tyson got in touch with the Food Safety and Inspection Service. The product has use by dates of October 24-25, 2016 and is sold in 28-ounce bags. It was sold by an assortment of food retailers all across the country. Although the cause for the scent is unidentified, customers are urged to return this product to the place of purchase or throw it away entirely.